Winter heralds the dawn of a new year, and the general atmosphere is serene. During this season, time tends to drag on, and our bodies’ processes seem to slow down. Even inside our homes, the general atmosphere is hushed and a winter chill permeates every room. But don’t let a season put you in a surly mood! With a simple tweak in the environment at home, your spirits can be uplifted. And what better way to cheer up than to add a summer spin to your home decor? Summer is that time of the year when you’re filled with an irrepressible amount of energy. The warmth induces joy and happiness and this will knock you out of your winter blues. If you’re looking for decoration ideas to add a fresh spin to your home decor this season, try these tips on for size. Summer brings plants to life and provides them with much-needed nourishment. Maybe it could do the same for you. Most plants wither and shrivel up in winter, but summer is synonymous with vibrant greenery and the outdoors. So why not find winter plants to liven up your home in the cold season? Spruce up your home with flowers, plants, or a bowl of fruit for a summery look. Try arranging a bunch of potted plants on your porch for a cheery and welcoming ambience. A vase of flowers in bright colours on the table, a warm home, and a hot meal will uplift you instantly. If your pillows are covered with dark-coloured pillowcases, like black and maroon, then it’s time for a colour infusion. In winter, you need to put in extra effort to imbue your home with the spirit of cheer. Using bright colours makes your work easy. Get rid of your old cases and use pillow covers of more vibrant hues. 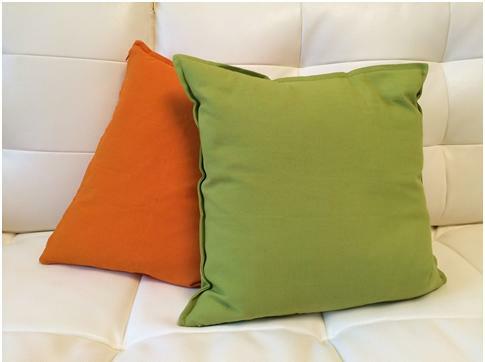 Decking out your pillows with citrus coverings gives the area around them a more relaxed look. You could even try brighter shades like orange and red, to lighten up the atmosphere. But, be careful not to overdo it, and ensure that the covers are contrasted by the couch, sofa, bed, or chair that the pillow is placed on. Now that you can buy furniture online, it’s even easier to find exactly the colours you want. 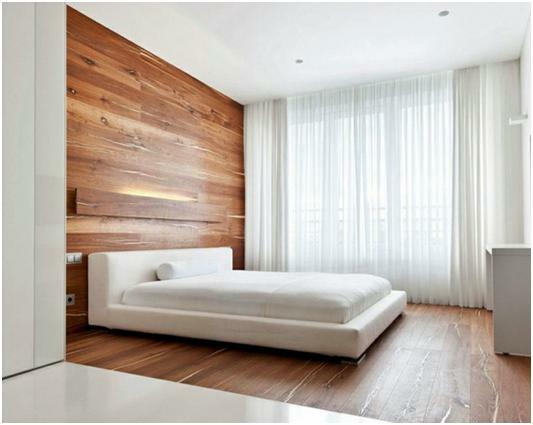 Besides exuding a luxurious feel, wooden interiors contrasted with white colours make an area look fresh and clean. Also, wood doesn’t get as cold as marble or stone, even in winter. So it’s a great idea to have wooden flooring in the bedroom. Use white sheets for the bed to give the area a luxurious and comfortable ambience. Something you’ll look forward to during those cold nights. This scheme can be followed anywhere in the house; white chairs on a polished wooden floor work well too. The contrast lends a posh look to the general area, while adding a feeling of comfort. It’s a great way to embody the warmth of summer, which everybody craves in winter. Ever heard of SAD? Seasonal affective disorder? That’s right, people tend to feel a little gloomy (dare we say blue?) during the winter. If this is you, your crummy mood could be caused by a lack of sunshine. To solve this problem, space out the furniture and arrange it in a way that faces a window. This ensures that everyone receives a healthy dose of vitamin D and the arrangement of furniture lends an airy feel to the entire room. Of course, shut the windows to stay protected from the cold. Going to the beach during winter is out of the question. But if you can’t go to the beach, then the beach must come to you. For this, you’ll need blue and white, or red and white stripes. It’ll bring back memories of white sand and warm sun, and can really brighten up your home. So cover your dining table with a blue and white tablecloth, and maybe slip red and white striped pillowcases over your throw pillows. Let There Be (Patio) Light! It can get chilly at night, but that doesn’t mean you need to stay shut up at home. Throw on some warm clothing and step out onto your patio. 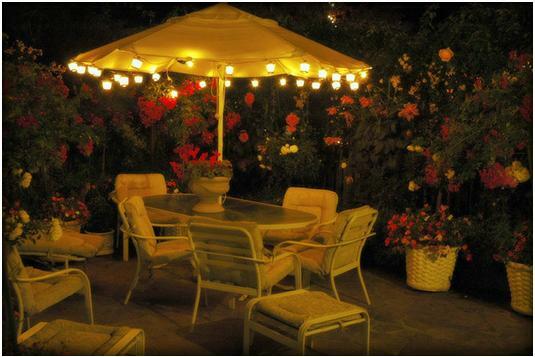 Add a couple of lanterns or string a line of bulbs across your patio. You can illuminate your winter nights with some dim lighting to help you feel warm and relaxed. Since it’s winter, it would be wise to avoid sheer curtains. Drapes are great during this season, when you’re trying to keep out the cold. 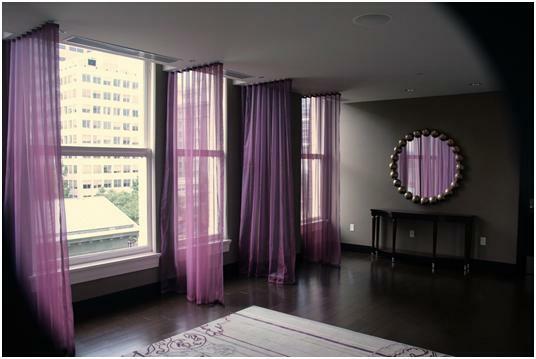 But, go for drapes with bright and vibrant colours to lend your home an effervescent atmosphere. You could also install wooden shutters, which do a great job of keeping out the cold and insulating your house. These are just some of the myriad home decor ideas that will help banish your winter blues by bringing the summer spirit into your home. 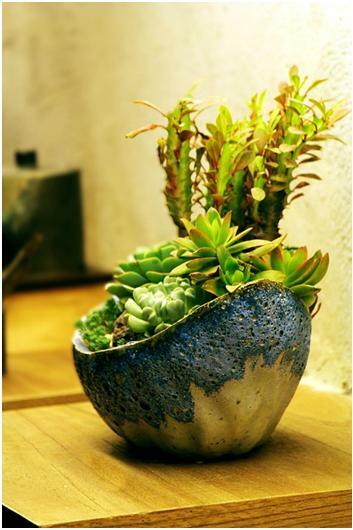 Experiment with ideas and you’re sure to come up with many more creative and summery ways to do up your house. Winter needn’t be a time of dullness and lethargy. With the right changes, you can banish the cold weather and usher in that much-awaited summer bliss.